Saturday 14th July (12.30pm - 2.30pm). 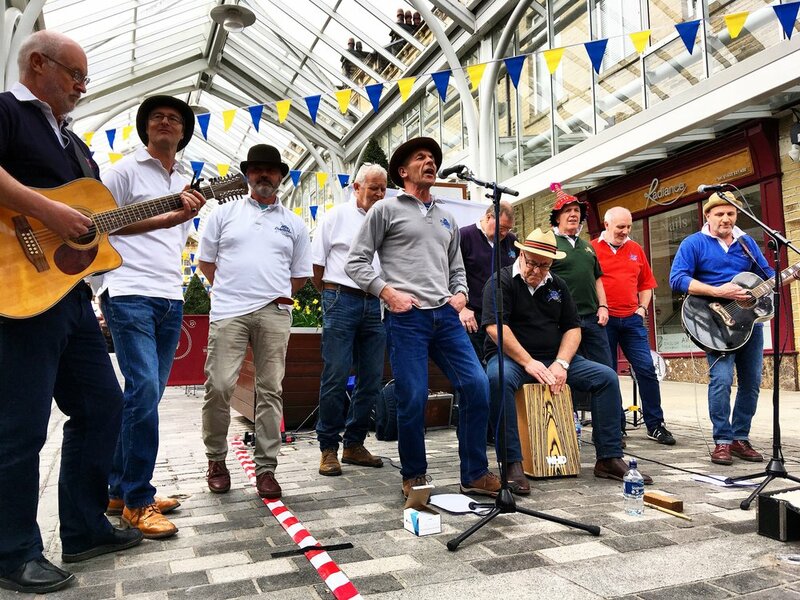 By popular demand, Halifax’s very own shanty singers will be returning to Westgate Arcade this weekend. Last time they were a massive hit and are not to be missed! We have plenty of outdoor seating at La Luna, Noco’s Kiosk, Cinnamon, Deli-cious, and Westgate Wine and Cheese, so book a table and come and enjoy!